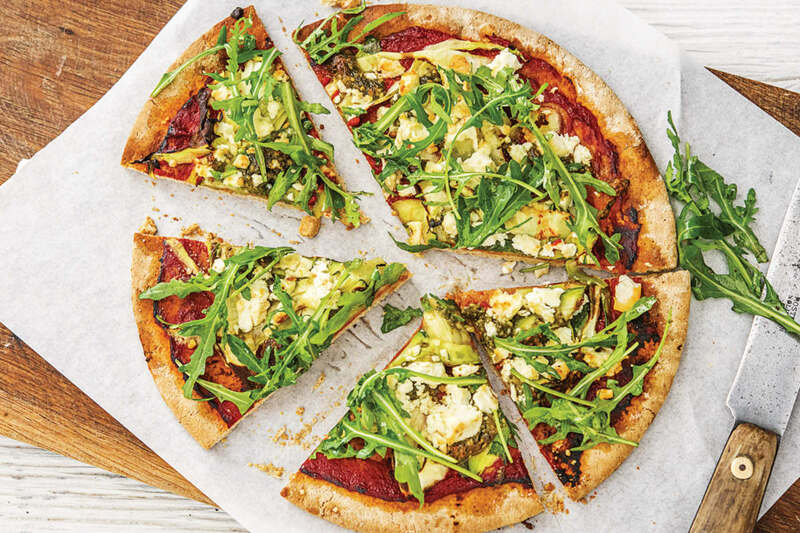 This pizza just screams warmer weather and fresh green ingredients. 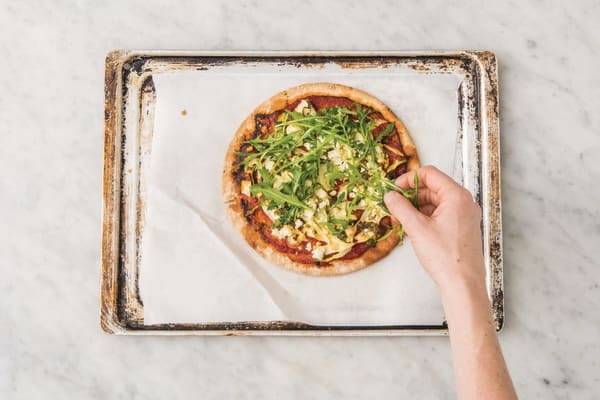 It’s pizza as Italians know it should be – simple, respectful of the ingredients and absolutely delicious. Preheat the oven to 200°C/180°C fan-forced. 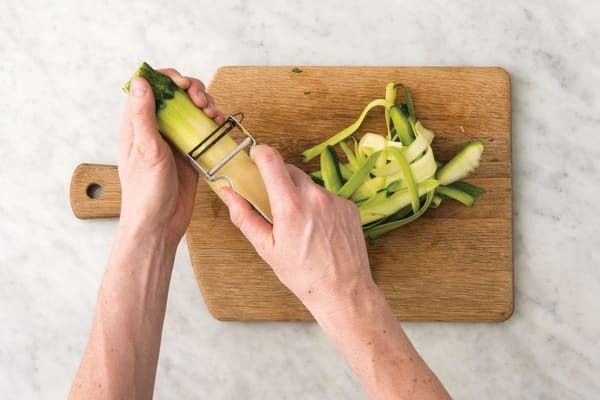 Peel the zucchini into thin ribbons using a vegetable peeler. In a small bowl, combine the tomato paste, 2/3 of the balsamic vinegar and a good drizzle of olive oil. Mix well. TIP: Adding balsamic vinegar to tomato paste gives it a sweeter, deeper and richer flavour! 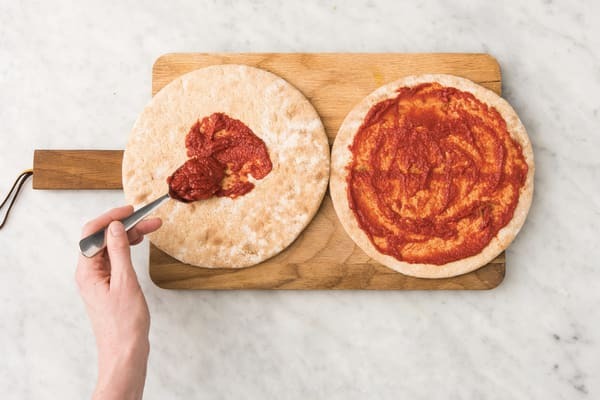 Place the wholemeal pizza bases on a flat surface, rough side down, and use the back of a spoon to spread evenly with the tomato paste mixture. 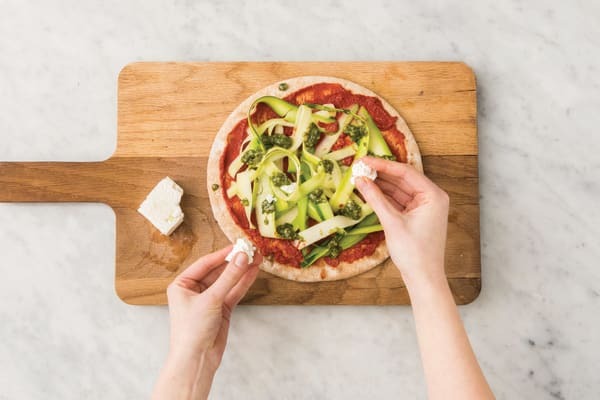 Top the pizza with the zucchini ribbons and dollops of traditional pesto. Crumble over the fetta. TIP: Make sure to spread the ingredients evenly over the pizza base to prevent a soggy base! 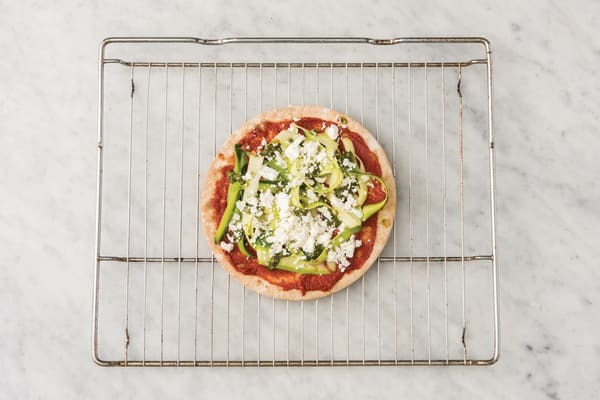 Place the pizzas in the oven directly onto the wire racks and cook for 10 minutes, or until the cheese is melted and the base is crispy. Tip: Placing the pizzas directly onto the wire racks helps the base to crisp up. While the pizza is baking, combine the remaining balsamic vinegar, honey and olive oil (1 tbs for 2 people / 1 tbs for 4 people) in a medium bowl. Season with a pinch of salt and pepper and mix well. Add the rocket leaves and toss to coat. 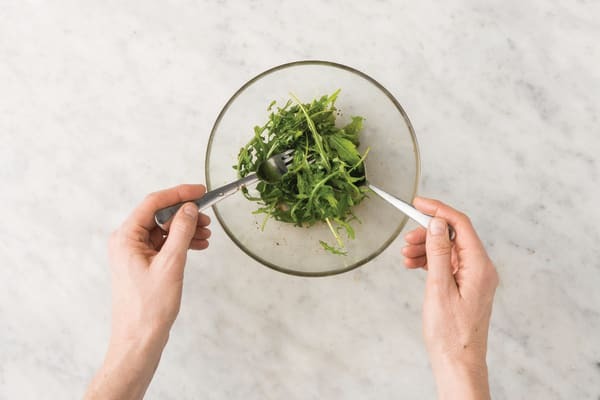 TIP: Add the rocket just before serving to avoid soggy leaves. Slice the speedy basil pesto pizza into wedges and top with half of the dressed rocket. Serve the remaining rocket on the side.